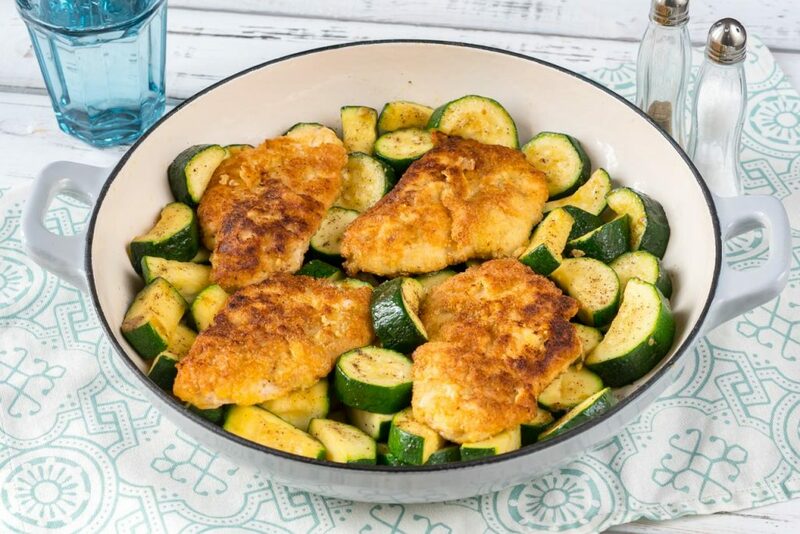 This Grain Free Crispy Garlic Chicken and Zucchini is a Crowd Pleaser! 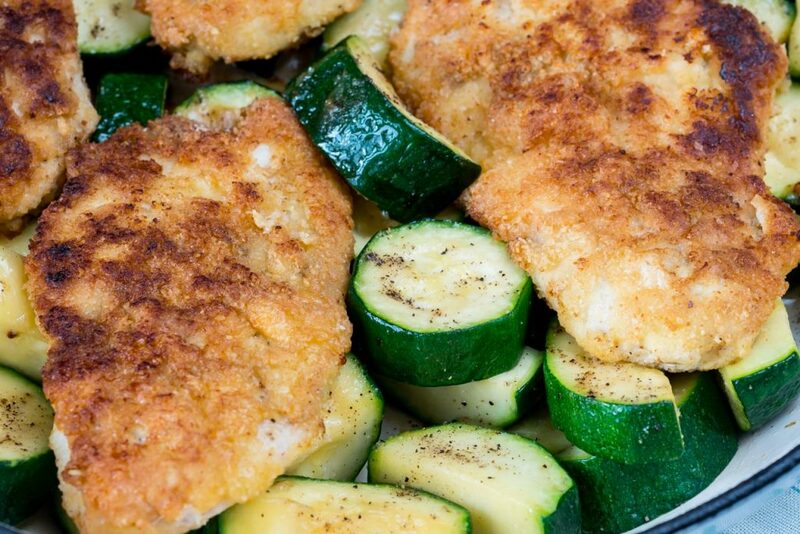 Eat Clean and grain free with this incredibly delicious and inventive recipe. This will become a family favorite! In a shallow dish whisk the 2 eggs with a pinch of sea salt and pepper. In another dish, add the almond meal, 1/2 tsp sea salt and fresh ground pepper. Preheat a large skillet and drizzle with 2 Tbsps of oil. 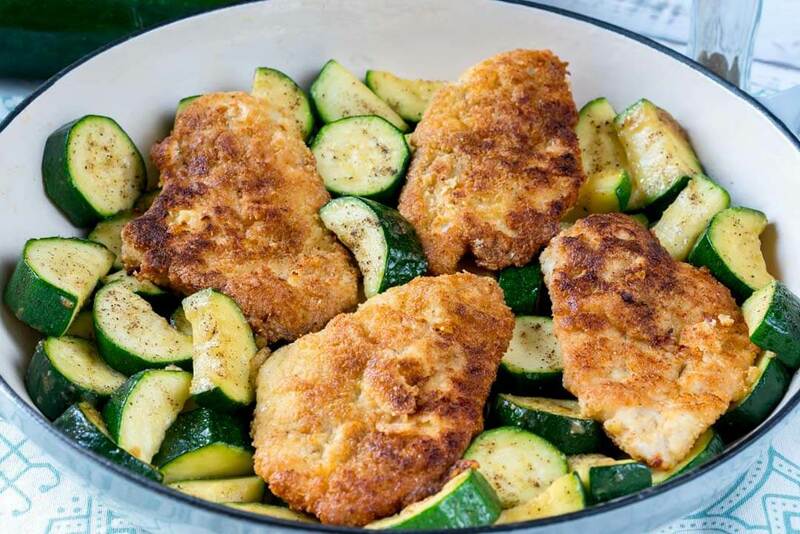 Dip the chicken in the egg mixture, then coat it with the almond meal and place it in the skillet. Cook on each side for about 4 minutes until the outside is crispy and the chicken is cooked through. Set aside. Add 2 Tablespoons of oil back to the skillet and sauté the minced garlic for just a minute. 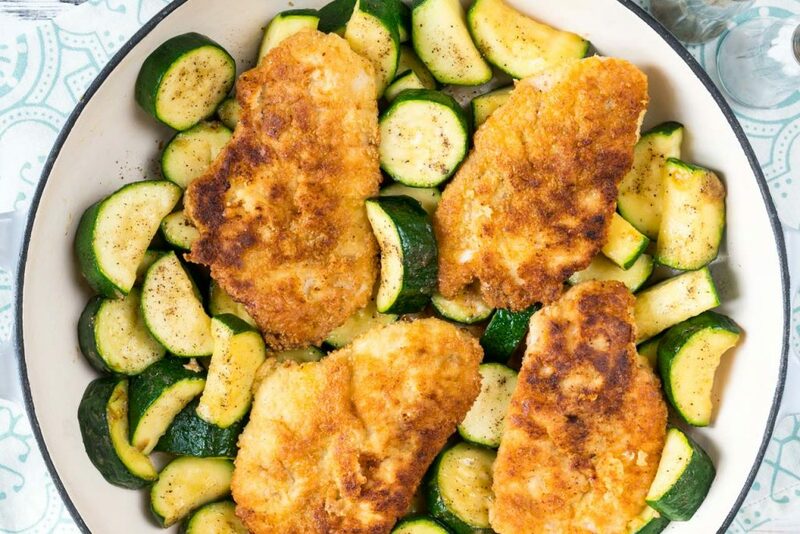 Add the zucchini to the skillet and sauté until just tender. 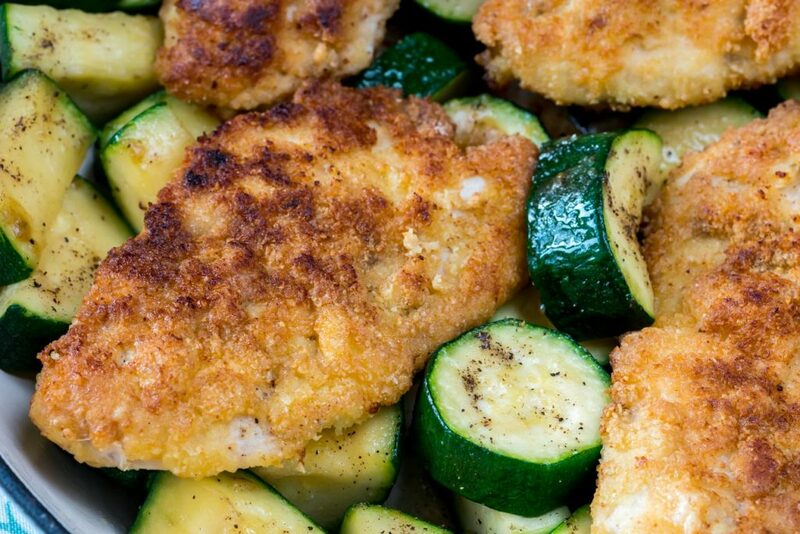 Season with salt and pepper to taste and add the parmesan. Add the chicken back to the skillet and heat for a minute or so. Serve immediately. To make the chicken: In a shallow dish whisk the 2 eggs with a pinch of sea salt and pepper. In another dish, add the almond meal, 1/2 tsp sea salt and fresh ground pepper. Preheat a large skillet and drizzle with 2 Tbsps of oil. 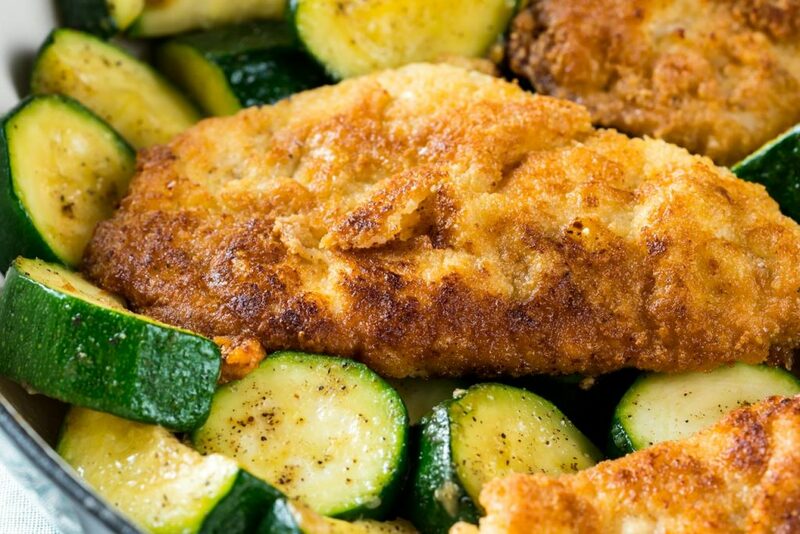 Dip the chicken in the egg mixture, then coat it with the almond meal and place it in the skillet. Cook on each side for about 4 minutes until the outside is crispy and the chicken is cooked throug. Set aside. Add the chicken back to the skillet and heat for a minute or so. Enjoying this recipe? You might also like Eat Clean: Strawberry Chicken Salad with Smooth Avocado Dressing!